Thousands of new recruits to arrive in recruitment centers in the next two weeks, join the IDF and serve in field units. The IDF began on Sunday morning the November 2018 recruitment period for combat roles in the field units. During the recruitment round, which will end on December 4, the five recruitment bureaus are expected to absorb thousands of new recruits who will join the ranks of the IDF. The soldiers who are expected to enlist in the army include recruits from all sectors of Israeli society. All of the new recruits received two weeks before enlistment the "Star Card", which includes points for the purchase of equipment required for military service. These include personal equipment, winter and sports, according to the role in which they enlist. The “Star Card” was sent directly to the new recruits’ cellular phones. 65% of the IDF recruits in the next two weeks are men and 35% are women. The average age of this recruitment period is 18.8. 540 olim (new immigrants) are enlisting in the recruitment period that begins Sunday. Countries from which one conscript has enlisted are Vietnam, Panama and Ecuador. The countries with the largest number of new immigrants in the current recruitment cycle are the United States (359), Ukraine (308), Russia (239) and Ethiopia (210). 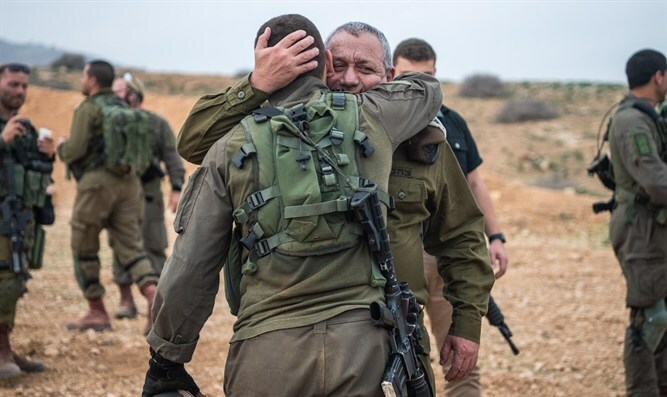 4.38% of the new recruits were in a pre-military preparatory program or participated in a “Shnat Sherut” (one year of community service) in the year before their enlistment to the IDF. The recruits will receive military equipment that will accompany them from the beginning of their military service until the end. This includes about 77,700 shirts, about 78,300 pairs of pants, and about 32,000 pairs of shoes. Winter equipment includes about 29,400 coats, about 30,000 "neck-warm" units and about 30,000 winter gloves. The soldiers will receive additional equipment that will accompany them throughout their service: A three-liter drink bag, helmet, goggles, helmet cover, personal bandage and an equipment kit.